With an early spring in the air, opening day just around the corner, and the 2010 Michigan Fly Fishing Expo wrapping-up today, it is a good time to quickly review some other pre-season events to put on your calendar as we head toward that last Saturday in April. 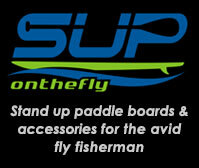 The Ultimate Sport Show is in Grand Rapids, next weekend, March 18th to the 21st. This is a big show with a great deal going on including a nice representation of guides and outfitters. If you’re in the Grand Rapids area it is worth a look. The website for the show is here. The Traverse City Hunting and Fishing Expo is also being held on that weekend — March 19th tot he 21st. This is a smaller show, but gets a good turnout. It is held in Howe arena at the Traverse City Civic Center. The website for that show is here. The Fly Fishing Film Tour is scheduled to make two stops in Northern Michigan this year. The first show is in Traverse City on March 21st at the City Opera House and features a cash bar. Tickets are available now at the City Opera House and at the Northern Angler. The second show is scheduled for April 24th (opening day) in Grayling at the Rialto Theater. Doors open at 6:30 for a 7:00 PM show. … that means a full day of fly fishing, a burger at Spike’s and a movie at the Rialto, all in one day. Nice. Lastly, it is worth sharing two more events of potential interest. Mike Nolan of Nolan’s Tobacco is partnering with two of the area’s finest restaurants in putting forward a couple of fine pre-season cigar dinners. The first is March 30th at The Blue Pelican in Central Lake. The second is at The Rowe Inn on April 22nd. Because of the new Michigan smoking ban in bars and restaurants, these will be the last cigar dinners before the new law goes in effect on May 1st. The end of an era for Mike. More information on these events is available here.